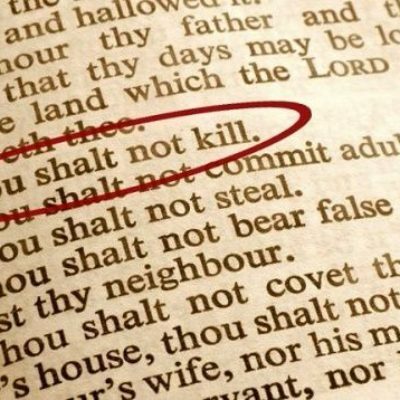 One of the oldest recorded sins in the Bible is murder. There were others before that, but none made an impact on creation as murder. One brother did not have any regard for the life of another person was his own kin, but that didn’t matter. Cain murdered Abel. After God destroyed the world by flood, he gave Noah this command in Genesis 9. The blood that we shed and the people who help shed it, will have consequences. This is not a light command, and God intended it to be taken seriously. For the longest time we saw the people of that time acting in unity, keeping the peace so that there would be no room for anger and murder. God will not be silent, and many will suffer the consequences of taking the life of another person, no matter how small or how big.